It’s important to have a comfortable piece of furniture that you can sink into after a long, hard day at the office. If you take an interest in French style decorating, these few styles of chairs and lounges might be the perfect fit for your home. Whether you are buying just for looks or for function, these particular seats have a way of providing you with both. As per tradition, a chaise lounge is a must-have when it comes to French inspired seating. A cushioned bottom, some soft curves; a charming French piece will provide you with all the comfort and style you need to lift even the plainest of spaces. In the same line as a chaise lounge, a sofa chaise is similar in comfort and shape but it adds a bit of extra space for your guests to plop down on when you’re having a get together. Or if this piece is solely for looks, it will look great in a large space with high ceilings. The ornate carvings will instantly take your room to a new level of luxury. For a space in the foyer, an upholstered, French inspired bench will give you a space to sit and don your wellingtons or a space to hold your bags near the door. You’ll never forget anything again. Usually used for dining, Louis chairs and Maison chairs are perfect for adding extra seating to a small space. These chairs can be slim and easy to place in corners of cramped rooms. Let your guests relax in these chairs and take a load off. Daybeds and cushioned benches are also a nice way to provide additional seating in any room. Place the daybed in your child’s room; a comfortable and smaller alternative to a guest bed. Or add the cushioned bench to your home office. If you’ve got the space for additional seating, these French styles would look fabulous in almost any room. Place a Louis chair in the corner of your living room or a sofa chaise in the middle of it. Use a cushioned bench in your foyer or a daybed in your child’s room. 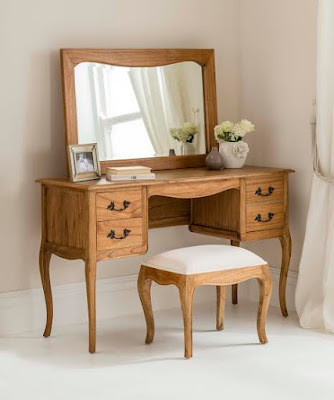 Whatever the chair or the space, the French style is versatile and the epitome of elegance and chic.